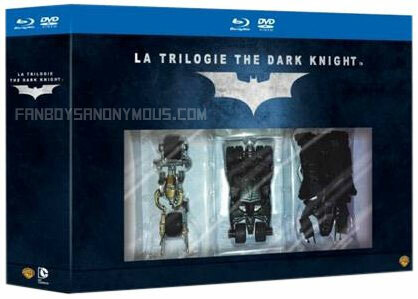 We all know what happens when a film trilogy is over with: a box set comes out! 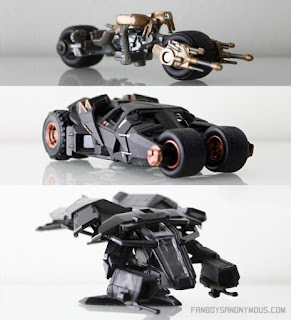 Thus is the case with Christopher Nolan's Dark Knight saga. 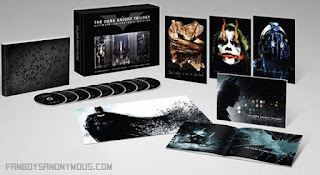 In the third quarter of 2013, we can look forward to purchasing The Dark Knight Trilogy: Ultimate Collector's Edition Blu-Ray box set. Bonus content isn't official right now, but some things that appear to be involved are models of the three iconic vehicles, booklets, a bunch of discs (so we can assume some documentaries and other features), different artwork on the covers (if you count that sort of thing), etc. Take a look at the images that have been released so far. Are you going to pick it up?